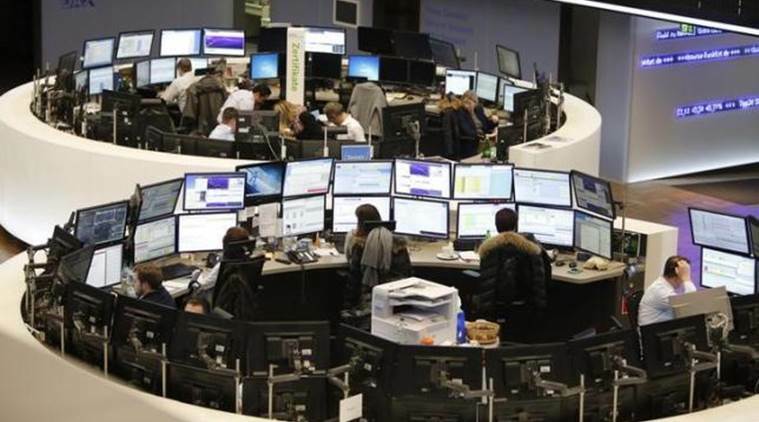 European stocks are turning in a mixed performance during trading on Friday as Italian government bond yields hit four-year highs on concerns over the country’s controversial budget plans. The Italian government has until Monday to respond to the European Commission’s letter that the nation’s significantly higher deficit targets represented a deviation “unprecedented in the history” of EU budget rules. While the U.K.?s FTSE 100 Index is up by 0.4 percent, the German DAX Index is down by 0.1 percent and the French CAC 40 Index is down by 0.7 percent. The British pound is largely flat after European Union negotiator Michel Barnier said disagreements over the Ireland border could lead to a breakdown in Brexit discussions. Swedish builder Skanska has moved sharply lower on the day after the company revealed more writedowns in the United States. Telia Company has also tumbled after its mobile service revenue dipped slightly in the third quarter. Automaker Volvo is also under pressure after reporting a drop in bus deliveries. French tire maker Michelin has slumped as it cut full-year market forecasts, citing slowing Chinese car demand and new emission standards. Conglomerate Bouygues has also plummeted after a profit warning over ongoing problems with two biomass power plants in the U.K. and a data centre in Ireland. Meanwhile, retail property developer Intu Properties has soared on news the company is considering a 215 pence per share takeover offer from a consortium backed by Peel Group, the Olayan Group and Brookfield Property Group. Software AG has also risen after the business software firm confirmed its full-year outlook after reporting a 13 percent increase in third quarter net income. In economic news, the euro area current account surplus increased in August from the previous month, preliminary data from the European Central Bank showed. The current account surplus rose to 24 billion euros from UR 19 billion euros in July. A year ago, the surplus was 39 billion euros. U.K. public sector net borrowing excluding public sector banks stood at 4.1 billion pounds in September, which was 0.8 billion pounds less than in September 2017, a government report showed. This was the lowest September deficit since 2007.